Inspired by a special DJ appearance for an underground NYC fashion showcase with Sefirah Fierce Designs, Cecil Grey guides us through a dreamlike excursion through hidden alleyways where dusky speakeasies, red velvet bordellos, and eccentric carnival performers stealthily stalk beneath the shadows. This seductive chill out mix is pure sound noire. Visit KnightsofPan.com for booking & info. 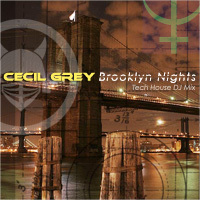 December 9th, 2009 | Tags: Cecil Grey, chill out, downloads, Knights of Pan, mix, MP3, podcasts. Featured in the 1999 issue of UrbanSounds Magazine. From a remote dry lake bed deep within the desert, top secret government experiments using alien technology produce previously unheard-of sounds that are kept hidden from all but an elite few, until a civilian watchdog group remote views the compound and reveals a special message for all of mankind. Beware… for once you hear it, you will never be the same again. An exclusive mix for UrbanSounds magazine, featured with editorial reviews. 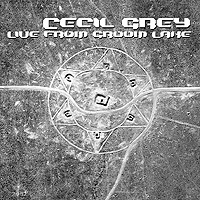 March 1st, 1999 | Tags: Cecil Grey, downloads, electro, IDM, Knight of Pan, MP3, podcasts.